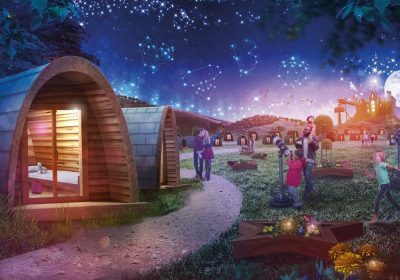 Enjoy a night under the stars at Alton Towers Stargazing Pods, new for 2019. Visitors to Alton Towers Resort in 2019 can get closer to nature, and wonder at the night sky, by booking a stay at the new Alton Towers Stargazing Pods, now on sale. 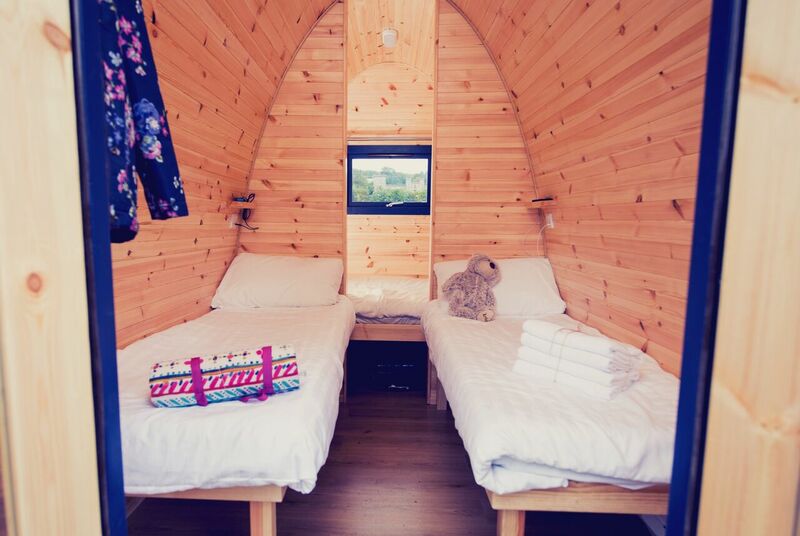 The camping-style Pods are minimally furnished and sleep up to four people. So families, couples and groups of friends can now enjoy an outdoor adventure in the Staffordshire countryside sleeping just moments away from their favourite rides and attractions. The camp of 102 Pods will be next to the Enchanted Village at the South East corner of the Resort. Each pod boasts one double and two single beds. They also have heating, charging points and WiFi, as well as under-bed storage and a small terrace. The Pods are arranged around ‘the green’ where children can play or use the telescopes to study the night sky. A communal block offers toilets, accessible showers and baby changing facilities. “More and more families are looking for affordable UK short-breaks where they can spend quality time together, try new things and enjoy their favourite destinations. The Stargazing Pods join four other hotels at Alton Towers, including the world’s only CBeebies Land Hotel which opened in July 2017. The new Pods offer the most affordable way to stay at Alton Towers Resort, priced from just £88 per night off-peak and £123 in peak season. Overnight guests can gain early entry to the theme park and enjoy the restaurants and entertainment across the Resort*. 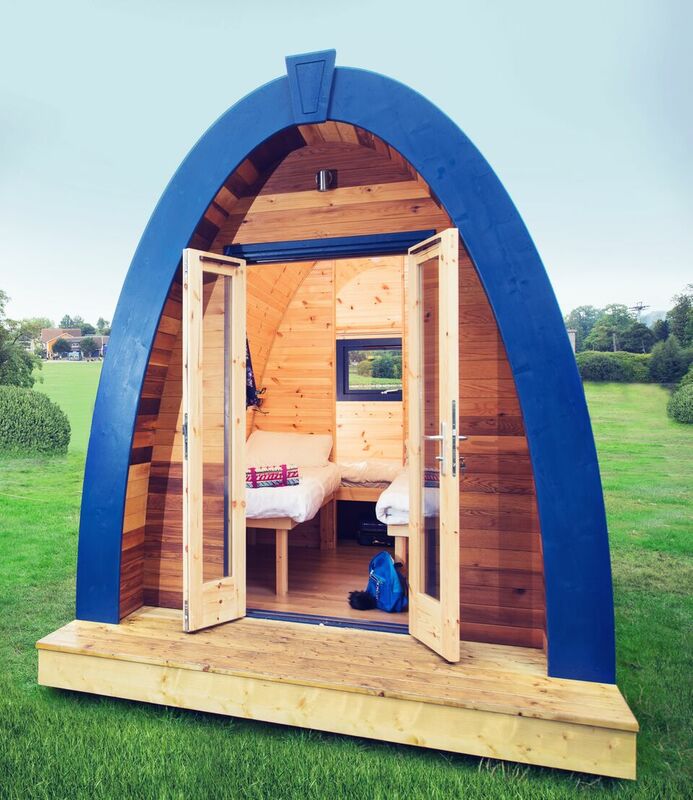 Stargazing Pods are available to book for Spring and Summer. The Pods will be available from 12th April 2019 through-out peak Summer and school holiday periods (Easter, May Half Term, all of June, July and August plus October Half Term). Pods can also be booked for weekend stays in May, Sept and Oct.
Overnight guests will enjoy access to restaurants and entertainments across the resort including Roller Coaster Restaurant but excluding the Windmill Restaurant and entertainment in CBeebies Land Hotel which is exclusive to CBeebies Land Hotel guests. Short break guests also enjoy free parking throughout their stay, and a free round of ‘Extraordinary Golf’. Home to the UK’s favourite theme park, the Alton Towers Resort offers an amazing combination of rides, attractions, shows and themed accommodation for thrill-seekers, families and kids of all ages. 2018 saw the launch of Wicker Man – bringing together cutting edge special effects with classic wooden coaster technology for the first time! Set in over 500 acres of beautiful Staffordshire countryside, the Alton Towers Resort offers three fantastically themed hotels, an Enchanted Village, wacky Waterpark, luxury spa, Extraordinary Golf, the UK’s only Rollercoaster Restaurant and of course, over 50 world class rides and attractions!